She's able to give Superman a run for his money in Man of Steel, and now she's ready for trick-or-treat! 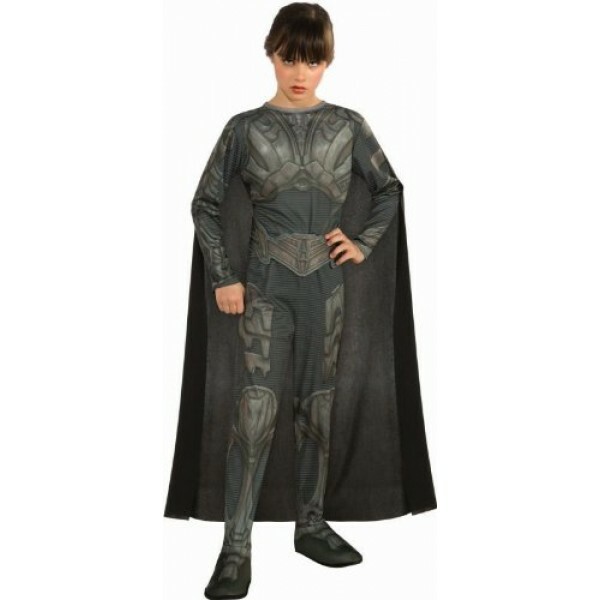 This officially licensed Faora costume set includes a printed jumpsuit with attached boot tops, cape, and belt. Please note: shoes / boots not included.